We’re creating a space where a community who loves architecture, technology and plants can meet. Our mission is to integrate these disciplines into a new paradigm that changes the way we live and interact with nature. 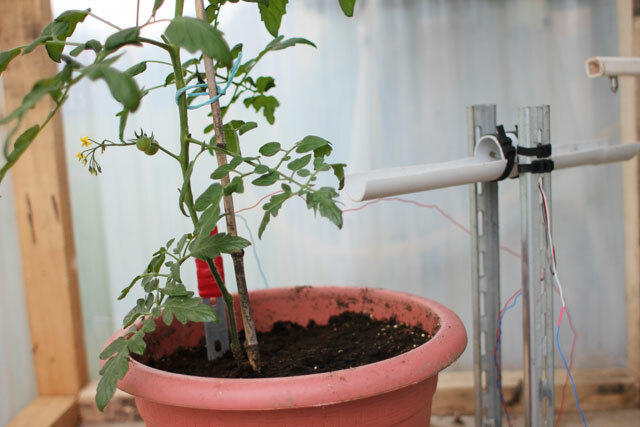 We believe that interacting with plants will improve our lives. 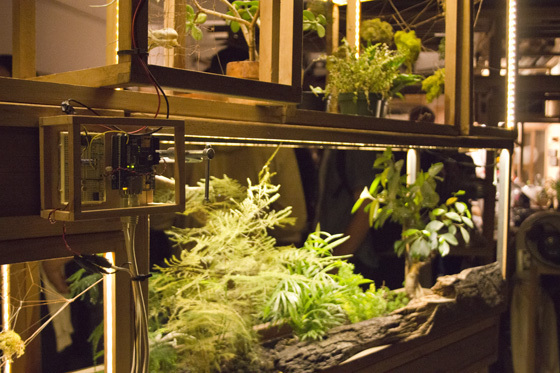 Plant-in City taps into the natural systems that foster plant life to give the plants themselves a voice. 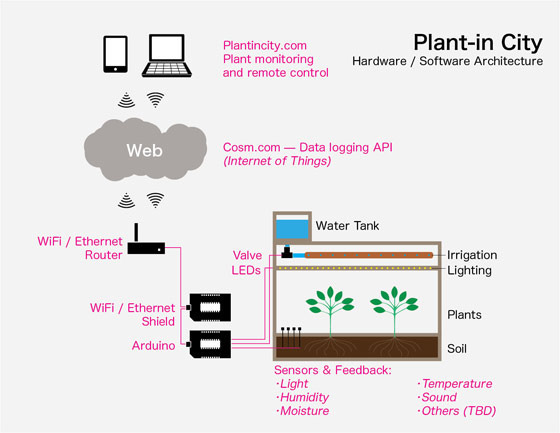 This revolutionary planter system contains built-in sensors that are activated by sun exposure, changes in soil moisture, humidity, temperature, and other natural cycles. 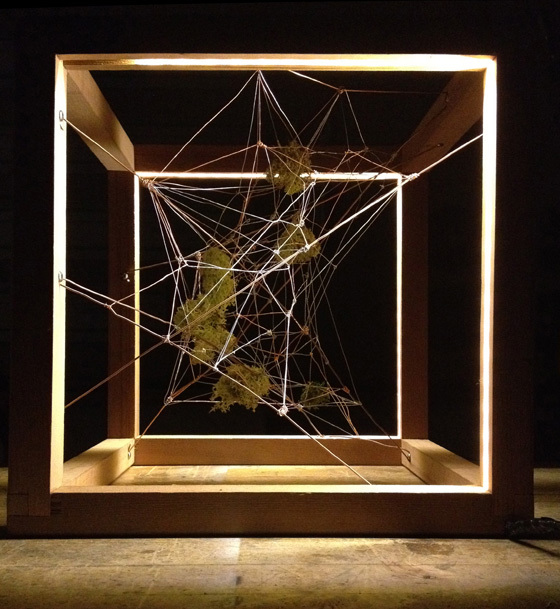 Once activated, these sensors translate the environmental data into sounds or visuals, creating an imaginary vibrant wilderness. Corporate net-art work is an audio / visual 3D HTML5 generative piece put together by Douglas Coupland and Paul Humphries for Alcatel-Lucent. 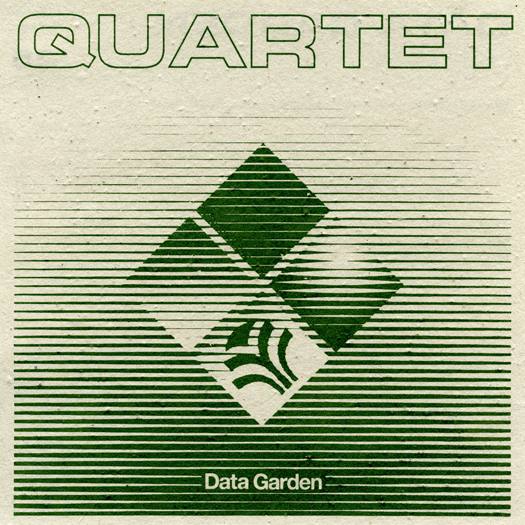 Each viewing creates a unique colourful polygon flower and vase decorated with data particles, together with a lullaby referencing Claude Shannon's 1948 paper on Information Theory. Vietnamese-born artist uses leaves as photographic paper, creating ‘chlorophyll printing’. 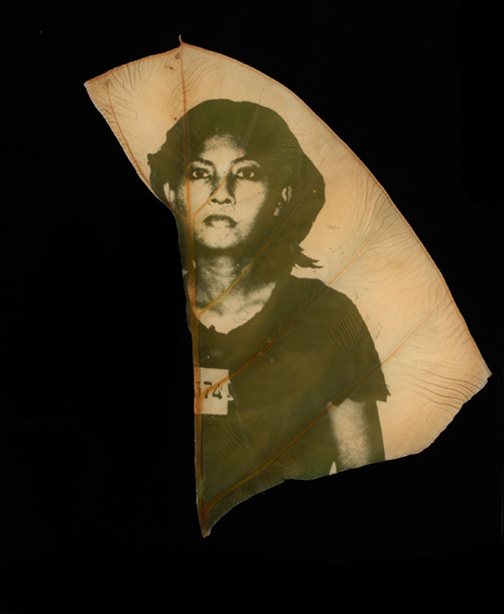 In ‘Ancestral Altars’, there are photographic portraits of those that suffered at the hands of the Khmer Rouge. 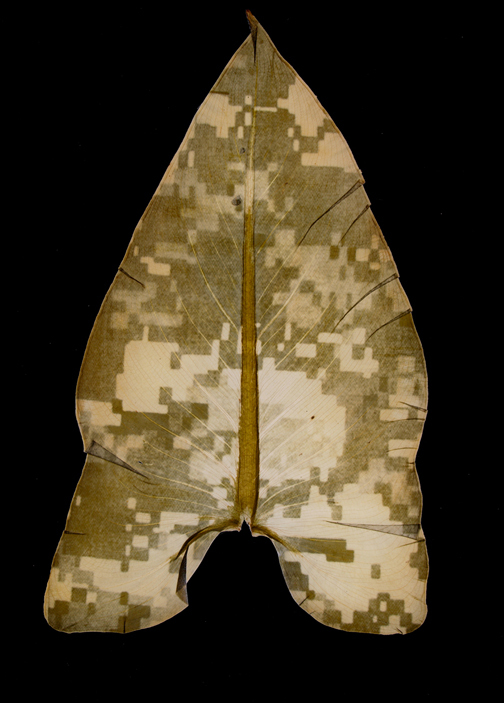 In ‘Military Foliage’, the leaves display familiar military camouflage patterns.